December 6, 2017 3:28 pm. THE Hong Kong International Races (HKIR) is one of the world’s most lucrative racedays and the last true international meet of the calendar year. As the name suggests, the HKIR is a truly international event. The cream of the crop from around the world travel to Sha Tin Racecourse in search of fame and fortune, and the acclaim that comes with registering a group one title in Hong Kong elevates the competitors to champion status. There are four group one races ran over varying distances across the HKIR, which means punters get to see top-tier sprinters and stayers competing for champion status in the same day. Any bookmaker worth their salt knows how important the HKIR are and frame their markets accordingly. Below you can find comprehensive reviews on the bookmakers we trust, and each and every one of these companies has markets up well in advance of the international raceday. Inaugurated in 1988, the Hong Kong Cup has undergone a multitude of changes since its inception. Originally ran over the 1800m distance, the journey was upped to 2000m in 1999 – the same year the race achieved group one status. 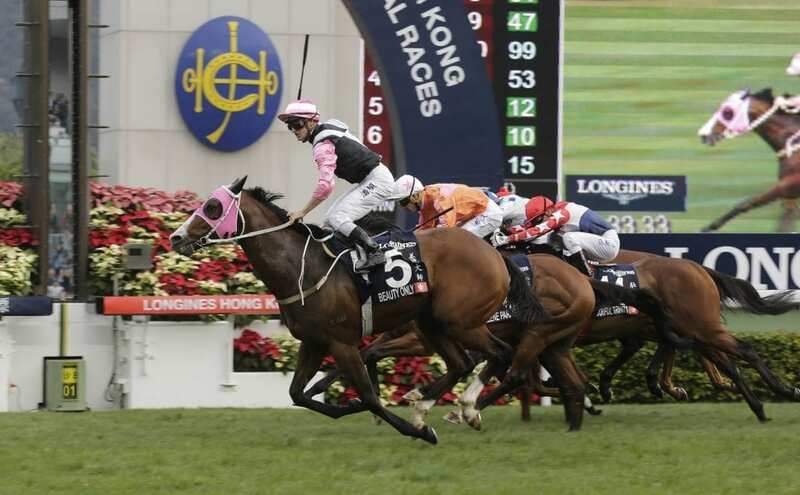 The Hong Kong Cup is currently the world’s richest 2000m turf race in the world. Originally ran in 1991 as the Hong Kong International Bowl, the Hong King Mile was originally over the 1400m distance. The race was eventually upgraded to the mile trip in 1999, the same year it received group one status. 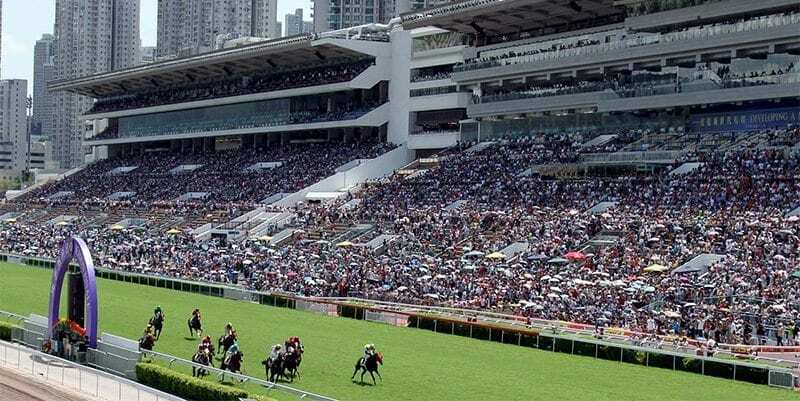 Originally contested over the 1000m, the Hong Kong Sprint was the world’s richest race over that distance before it was upgraded to the current journey in 2006.Obtaining group one status in 2002, the event sits comfortably as one of the premiere sprint races in the world. The freshest of the four group one races, the Hong Kong Vase was first run in 1994, and six years later was promoted to group one status. With so many talented horses racing in the Hong Kong International Races – more and more of the best jockeys are coming out to race. It’s no surprise to see Frankie Dettori at the top of the list of most successful hoops. It’s little surprise to see Italian superstar Frankie Dettori’s name when it comes to champion jockeys taking part in HKIR. Regarded as the world’s best jockey, Dettori has recorded wins in three of the four group ones of the HKIR, including his 2004 triumph in the Hong Kong Mile, two victories in the Hong Kong Vase (1996 and 2010) as well as a record three successes in the Hong Kong Cup (2000, 2003 and 2007). French sensation Olivier Peslier didn’t earn the nickname ‘Magic Peslier’ for nothing. Piloting horses to eight separate wins over three of the four HKIR races, Peslier has won the Hong Kong Vase a record four times (1995, 1999, 2007 and 2008), the two Hong Kong Mile successes (1999 and 2005) before taking out the Hong Kong Cup for the first time in 2009. Ex-Australian Brett Prebble has made a habit of riding winners in Hong Kong since taking up a riding residency in 2002, and success in the HKIR has been no exception. Prebble has won the most Hong Kong Sprint’s in the race’s history (2006, 2008 and 2011). 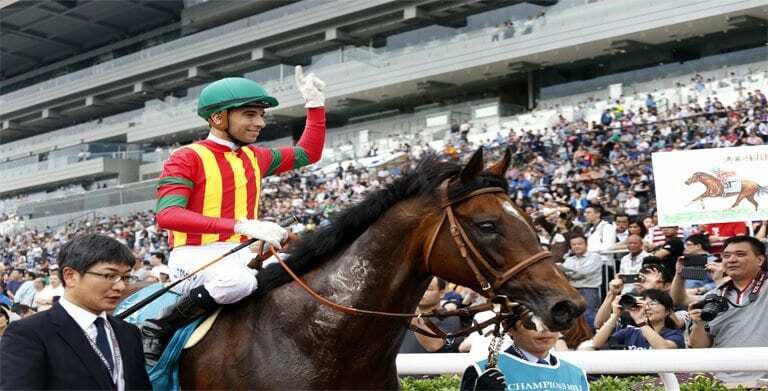 A former star jockey in his own right, Tony Cruz has gone on to claim six HKIR titles – Hong Kong Mile (2003, 2010) Hong Kong Sprint (2003, 2004) Hong Kong Cup (2011, 2012) – across his prolific training career. As of 2017, the only race the veteran has not registered a win in is the Hong Kong Sprint. Godolphin gun Saeed bin Suroor has nearly completed the HKIR foursome, recording wins in every group one event expect the Hong Kong Sprint. The only race he was won multiple times is the Hong Kong Cup (2000 and 2007), which complements his 2004 Hong King Mile win and his 2010 success in the Hong Kong Vase. Australian trainer John Moore is another trainer that has won three out of the four group one titles throughout the HKIR. Two Hong Kong Mile wins (2011 and 2014) and single wins in the Hong Kong Sprint in 2008 and the Hong Kong Vase in 2013 place him in rarefied air. 1988: The first-ever Hong Kong Cup is run and won by Flying Dancer, which was owned by Lim Por Yen and trained by Ping Chee Kan. The Hong Kong Mile is run, initially over the 1400m trip to mark the staging of the 22nd Asian Racing Conference. 1992: Horses from all over the globe are allowed to compete in the Hong Kong Cup after Japan becomes the last jurisdiction to be granted the right to compete in the Cup. 1994: Red Bishop takes out the inaugural running of the Hong Kong Vase in a record time of 2:25.10. 1999: The Hong Kong Sprint is introduced. Fairy King Prawn took out the first-ever running of the event over the 1200m distance. In the same year the Hong Kong Cup is elevated to 2000m and is given group one status, while the Hong Kong Mile also gained group one status while changing its distance to the 1600m journey. 2000: The Hong Kong Vase is promoted to a group one race. 2003: Silent Witness claimed its first-ever group one crown by winning the Hong Kong Sprint. The horse would go on to win another eight G1 titles. 2007: Good Ba Ba won its first Hong Kong Mile in 2007 and went on to claim two more HKIR wins in the following two years to become the first and only horse to achieve three HKIR wins. 2011: Dunaden claimed the Hong Kong Vase and in the process became the first horse to complete the Melbourne Cup/Hong Kong Vase double. 2012: California Memory became the only horse in Hong Kong Cup history to win the race more than once after successfully defending its 2011 crown. Able Friend pulled off an astonishing four and a quarter length victory in the 2014 Hong Kong Mile, earning a rating of 127, the highest international rating ever achieved by a Hong Kong-trained racehorse. 2016: Japan’s Noriyuki Hori became the first overseas trainer to win two HKIR events in one day when Satono Crown took the Hong Kong Vase and Maurice won the Hong Kong Cup.